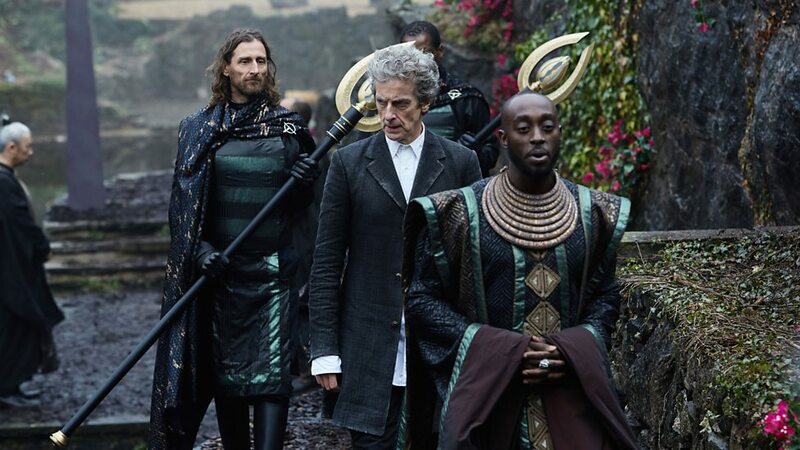 The Doctor must investigate an ancient mystery in Extremis. Within a secret library of the Vatican, there is a book of dangerous power – The Veritas. History accounts how anybody foolhardy enough to read it has subsequently taken their own life. 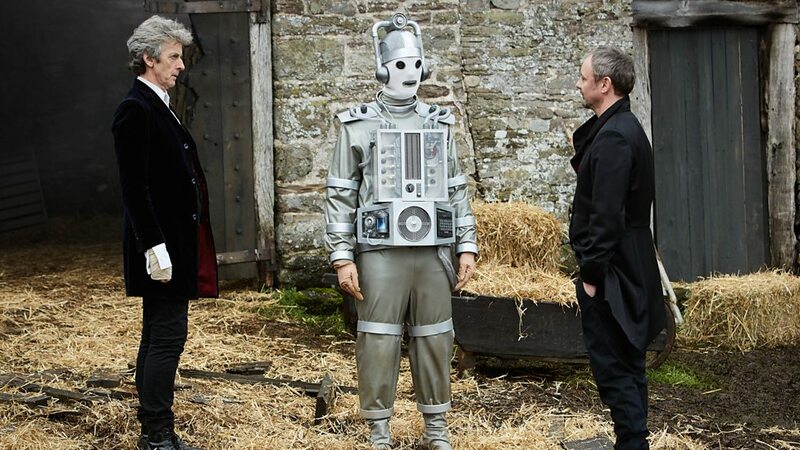 After a new translation appears online, The Vatican asks the Doctor for help. 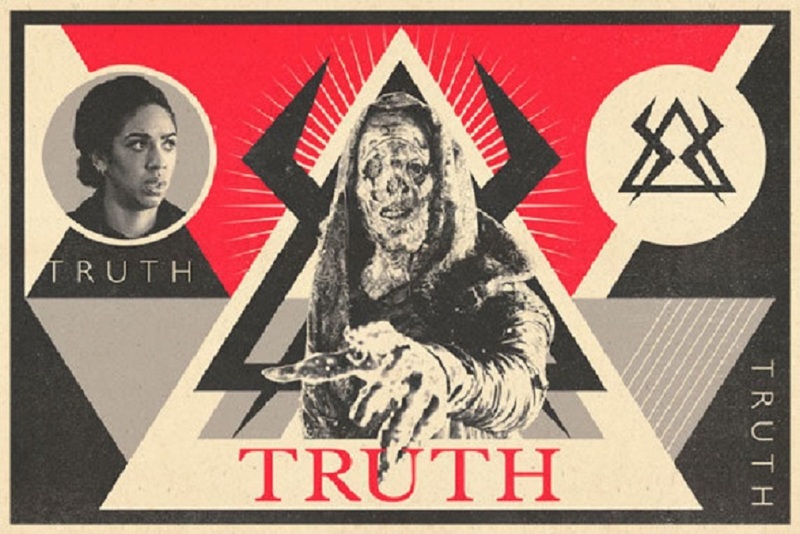 But will the Time Lord read The Veritas, and can even the Doctor endure the terrible truth it holds? 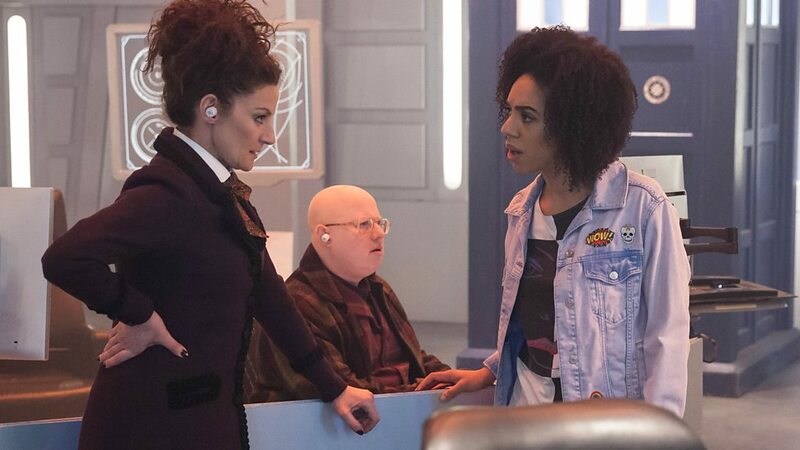 Following Oxygen’s shock cliff-hanger, where the Doctor secretly confided in Nardole that he was still blind, the Time Lord doesn’t want his enemies to learn of his sight loss, and he’s adamant that Bill shouldn’t know either. 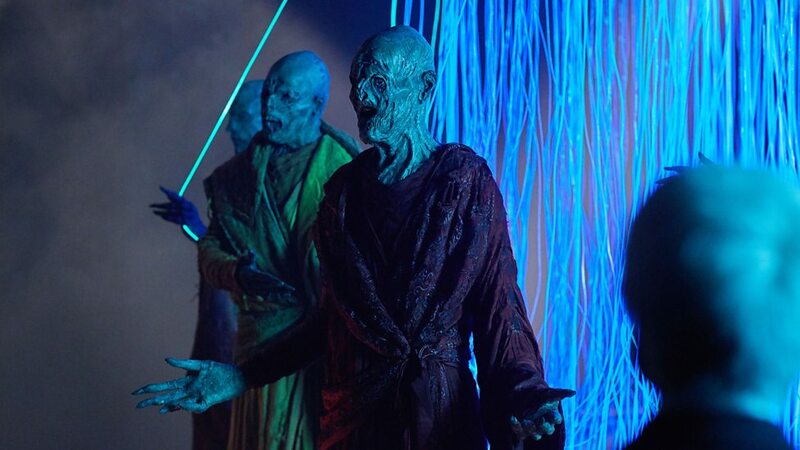 Extremis is also something of a major turning point in series ten as it forms the first episode in a linked trilogy of stories were the world comes under threat by an emaciated corpse-like order of sinister Monks. 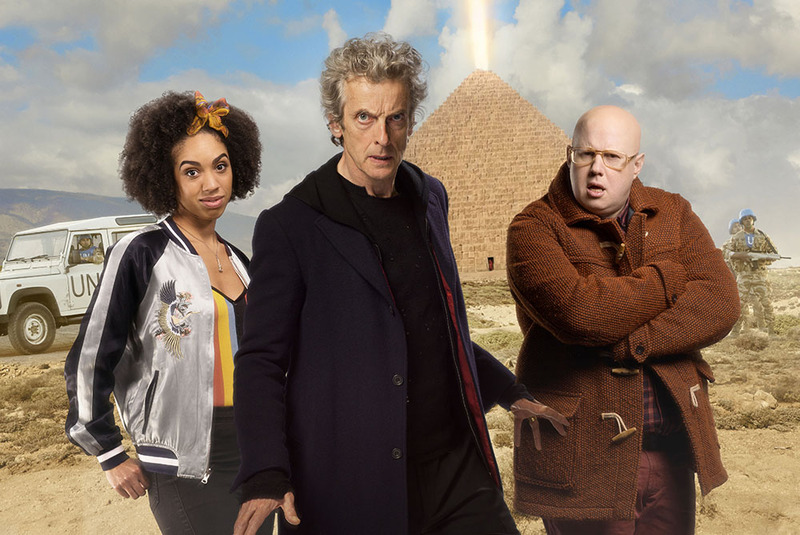 When Bill’s date night with Penny gets embarrassingly gate crashed, she’s soon off on her next adventure in the TARDIS with the Doctor and Nardole, and this time it concerns the Pope and an ancient text called The Veritas held in a secret Vatican library: the Haereticum. The Veritas is older than even the church itself, with its language and translations seemingly lost after a sect’s bizarre mass suicide. Now the Veritas has been translated again, however, everyone that worked on the translation online has mysteriously killed themselves. 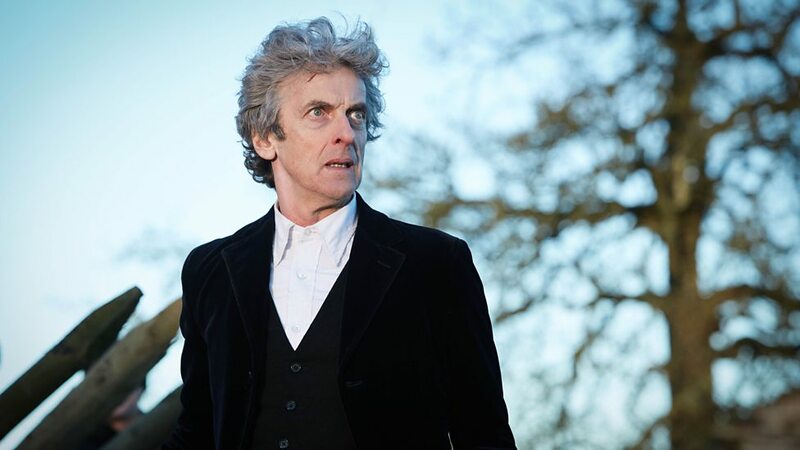 At the behest of the Pope himself, the Doctor has been called upon to solve the dangerous mystery surrounding the Veritas, but in doing so he must also grapple with his own hidden agonies. 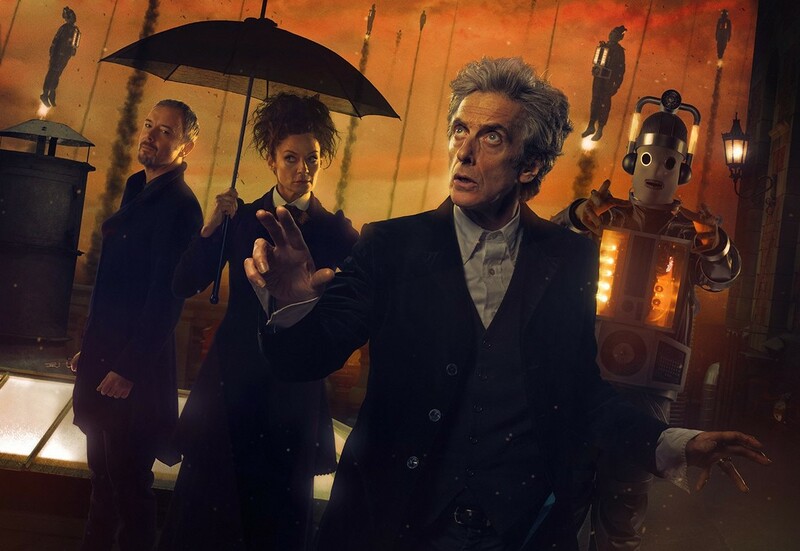 Essentially two stories in one, Extremis, with its secret libraries, mysterious portals, and international conspiracies, is one of Steven Moffat’s most ambitious episodes to date. Taking in Rome, CERN, Washington, and a visit to a distant planet, Moffat infuses Extremis with elements of The Ring, The Da Vinci Code, The Matrix, and The Name of the Rose, effortlessly splicing them with the core underlying themes of series 10, and the end result is an assured adventure that make for a remarkably compelling and thought provoking episode. An ominous sense of impending dread gradually builds throughout Extremis. 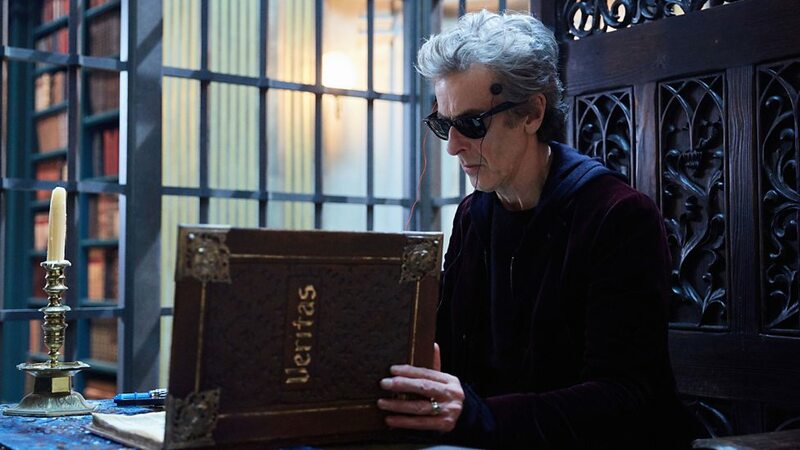 Peter Capaldi’s Doctor – sporting his trusty enhanced sonic specs – must draw on every ounce of his resolve to deal with the enigma of the Veritas. 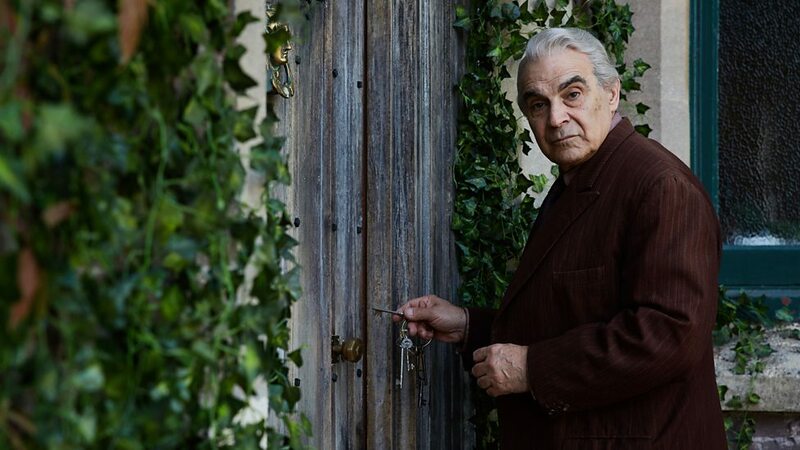 Once inside the Vatican’s secret library of blasphemy, the Haereticm, where strange portals are forming, they discover a priest has emailed a copy of the Verita’s translation to the European Organization for Nuclear Research (CERN) before killing himself. 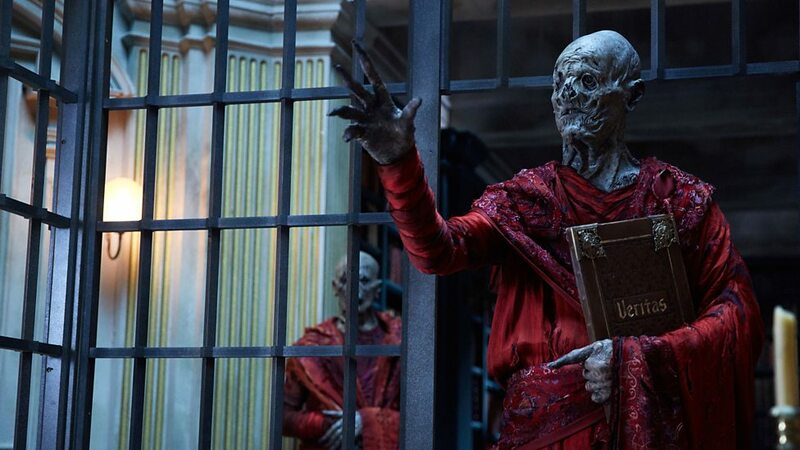 After sending Bill and Nardole to investigate, the Doctor borrows from his own future to temporarily restore his sight to enable him to read the Veritas, and soon finds himself in deadly danger as undead-looking Monks close in to seize the Veritas for themselves! 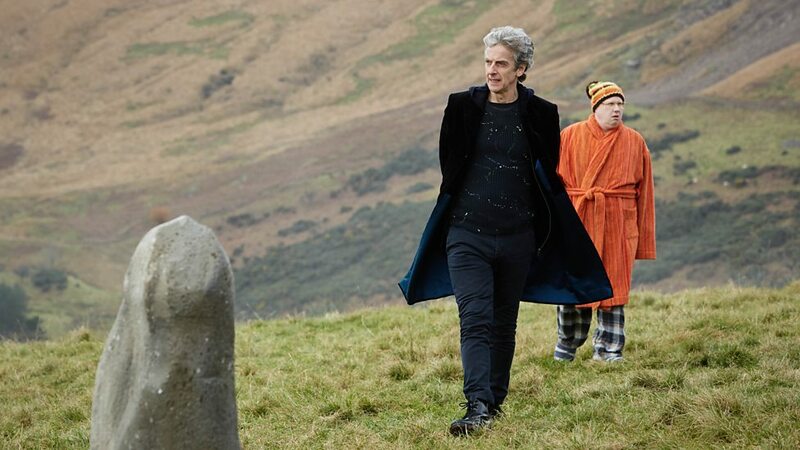 Bill and Nardole discover another portal that leads to a collective hub of portals controlled by an unknown form of alien technology. 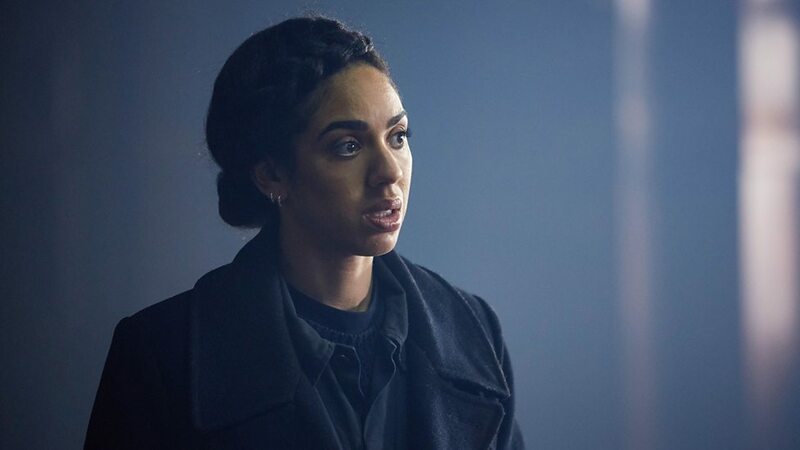 Following a brief sojourn to CERN, where a chilling game of random numbers with scientists about to blow themselves up ensues, but after fleeing back to the hub Bill is horrified when Nardole realizes the portals are actually computer projections and watches him slowly fade away – a fate she also shares when she finally catches up with the Doctor inside another projection that simulates the Oval Office inside the White House. 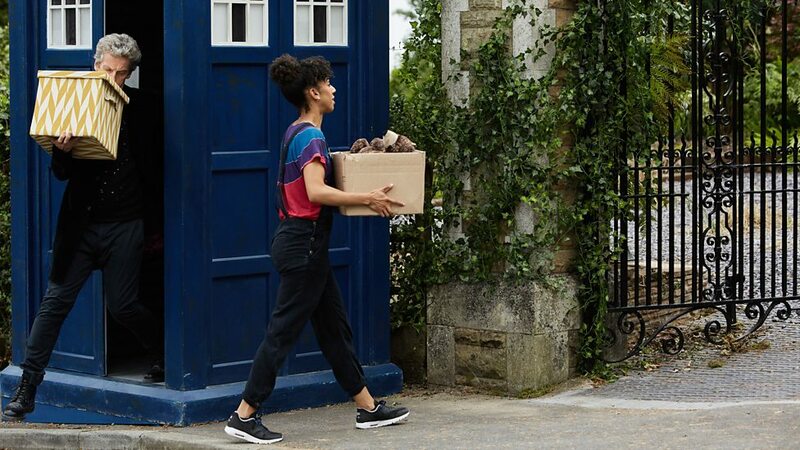 Pearl Mackie continues to impress as Bill, and she constantly brings a refreshing sense of vitality and compassion to the role of the Doctor’s companion. 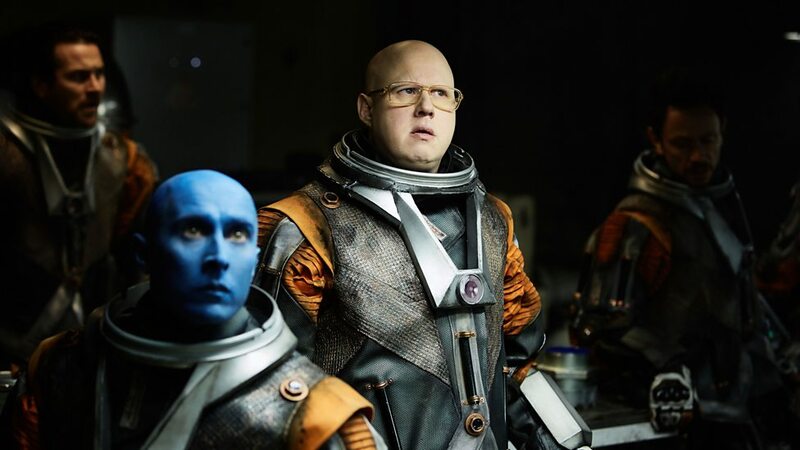 Matt Lucas gets to play a tougher side of Nardole as well in Extremis, his character really steps up, especially when he’s teamed with Bill, and his reasons for being with the Doctor also start to become more apparent as Extremis unfolds. 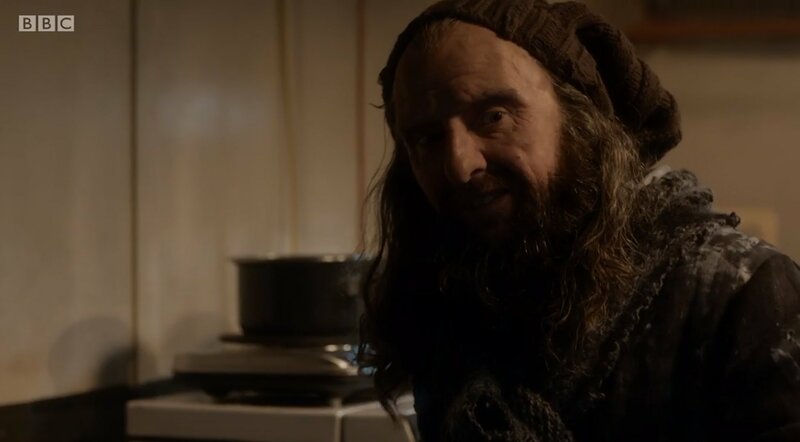 Along with Joseph Long as the Pope (Long previously appeared in the 2008 Doctor Who episode Turn Left as the Italian newsagent, Roco Colasanto), the guest cast in Extremis also includes Corrado Invernizzi as the Pope’s trusted aid Cardinal Angelo who turns up at the university looking for the Doctor, Ivanno Jeremiah as Rafando, Laurent Maurel as Nicholas Rorke Adekoluejo as Penny, and Jennifer Hennessy as Billd’s foster mum, Moria. The main foes in Extremis are the Monks. 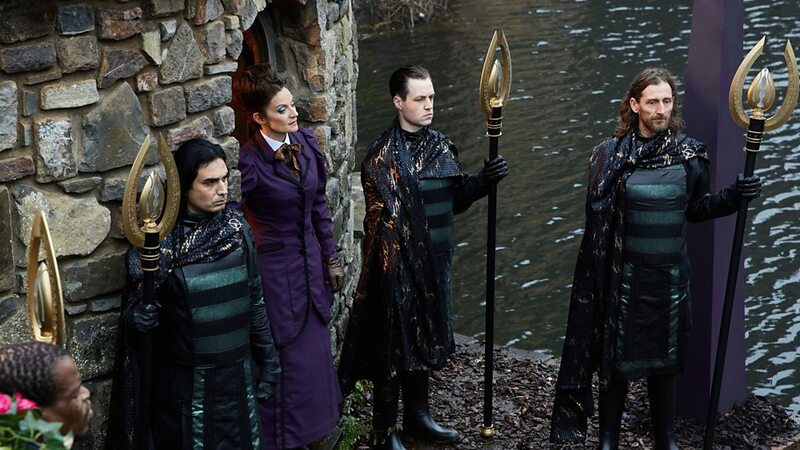 These withered, burgundy robed creatures, with their clawed hands and menacing presence are hell bent on taking over the Earth, and it seems it’s something they’ve been planning for a long time. 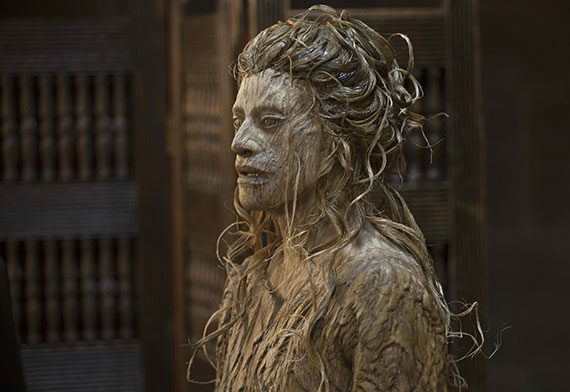 Seeking the Veritas for their own ends, they are a marvellously creepy and effective adversary in this episode. 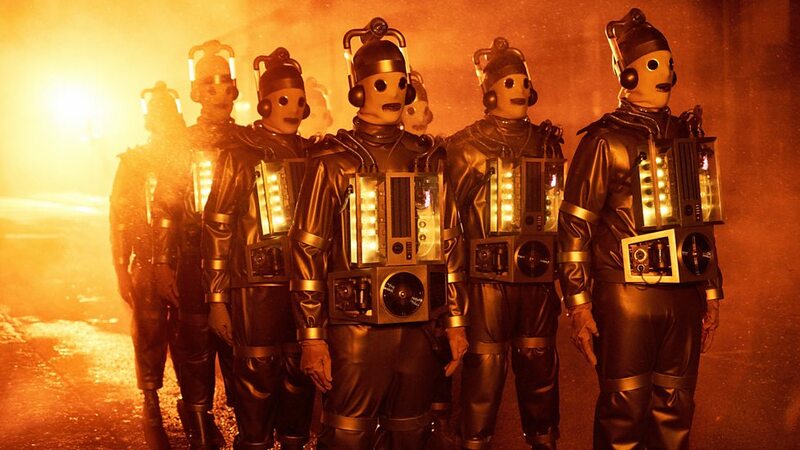 These super-intelligent beings have used their technology to craft this huge VR simulation, where even the Doctor and his friends are just simulations in something akin to a highly sophisticated video game which the Monks have been using to assess Earth’s capabilities and weaknesses before launching a perfectly calculated invasion. 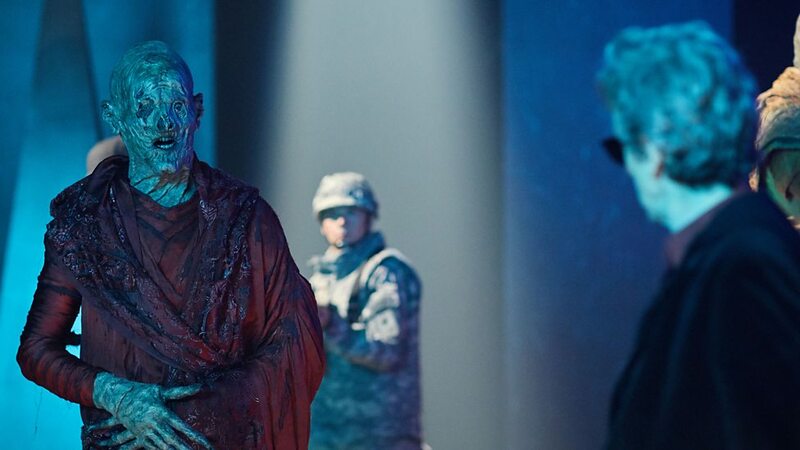 The Monk the Doctor faces in Extremis is played by Jamie Hill, he also appeared as the Foretold in 2014’s Mummy on the Orient Express (as well as one of the Silence creatures in series six), and the chilling voice of the Monks is provided by Tim Bentinck. 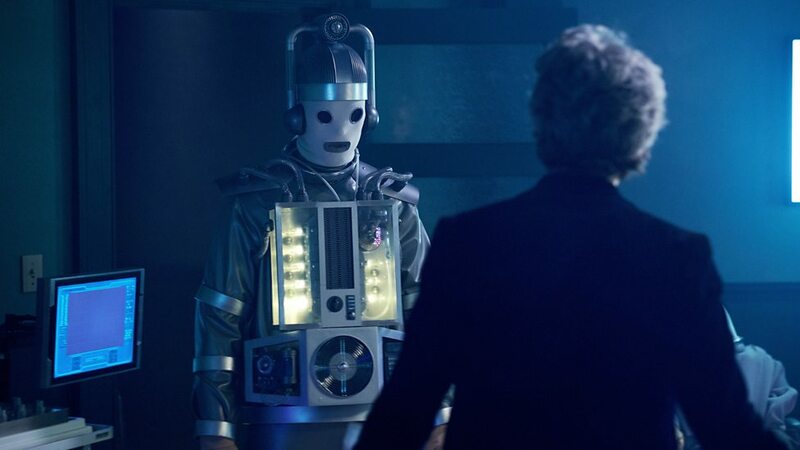 Bizarrely, it’s interesting how the Monks are slightly reminiscent of the Silence, with their long fingers and ingenious invasion plans, yet they speak with their mouths agape in a way that’s also similar to the original Mondasian Cybermen. 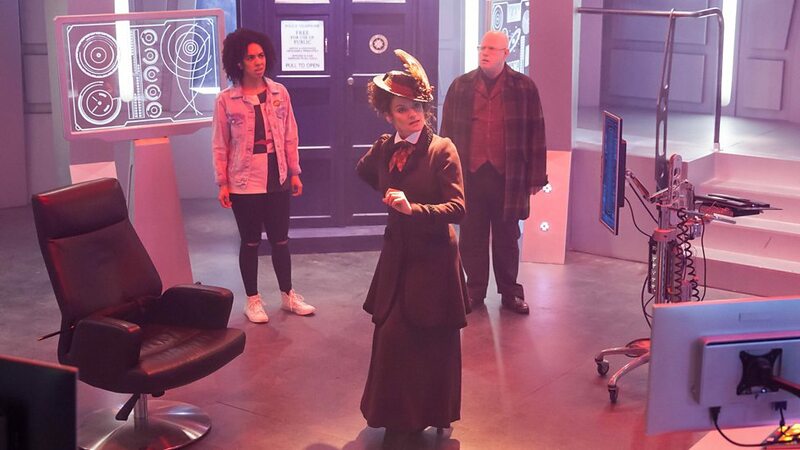 After all the build up, hints, and speculation, Extremis is the episode of series ten where we finally discover who is inside the Vault that the Doctor and Nardole have been guarding at the university on Earth, and it turns out to be – Missy! Yes, even though we’d probably already half-guessed this big reveal, it doesn’t diminish it to finally have it conformed in Extremis. 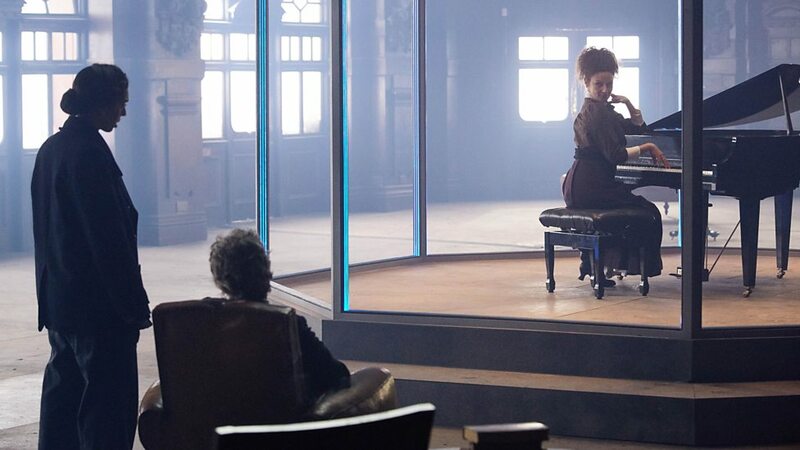 This all ties in with the numerous flashbacks that permeate every aspect of the episode, where Missy is a prisoner on Carnathon awaiting her execution which will be instigated by non other than the Doctor himself, and her body then subsequently placed inside a waiting Quantum Fold Chamber which the Doctor has solemnly vowed to watch over for a thousand years. 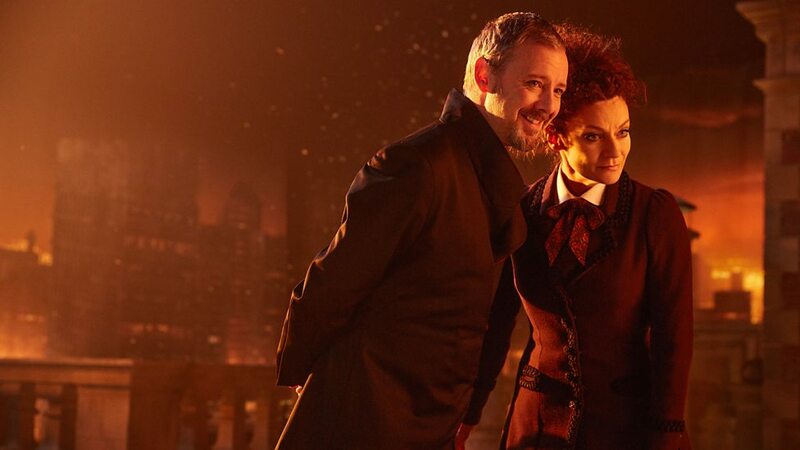 There are a number of references that pertain to River Song in Extremis, most notably when Missy mentions she’s heard rumours amongst the Daleks of the Doctor’s retirement and “Domestic bliss on Darillium” (a planet first mentioned in 2008’s Forest of the Dead), where the Doctor and River went to see the Singing Towers in the 2015 Christmas Special: The Husbands of River Song after defeating King Hydroflax. 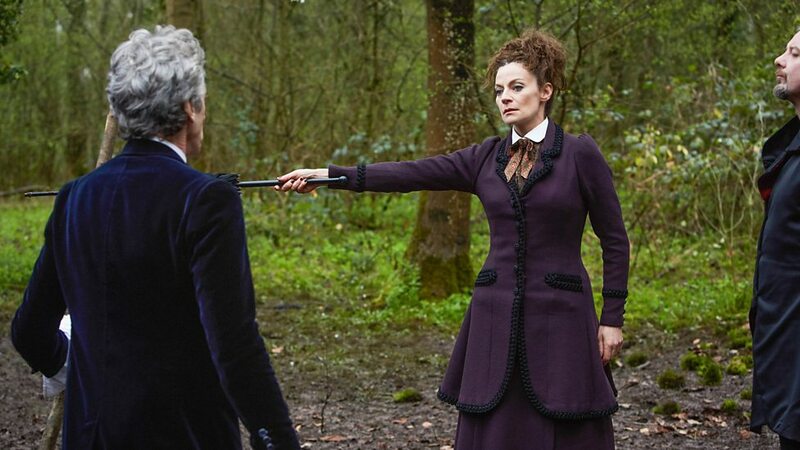 Missy also offers the Doctor her condolences on River’s passing. 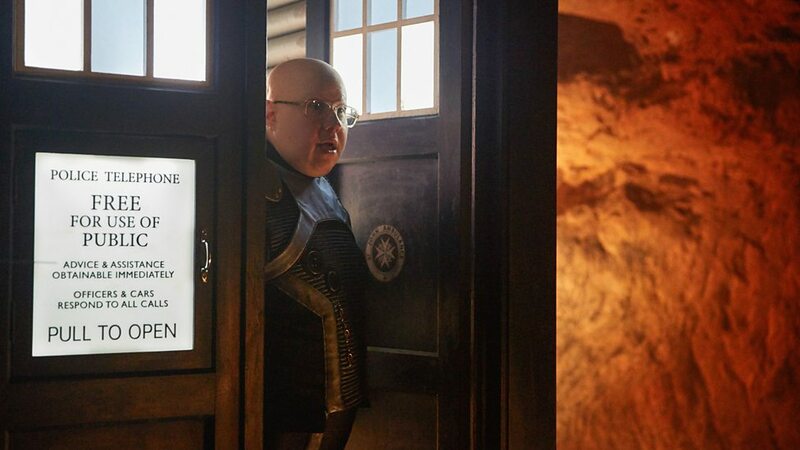 Nardole also turns up as a Cleric at Missy’s execution in Extremis to meet the Doctor, having been given special permission by the Doctor‘s late wife, and he also has River’s distinctive TARDIS styled diary (first seen in 2008’s Silence in the Library) which she used to keep track of her out-of-sequence adventures with the Doctor and their haphazard timelines. 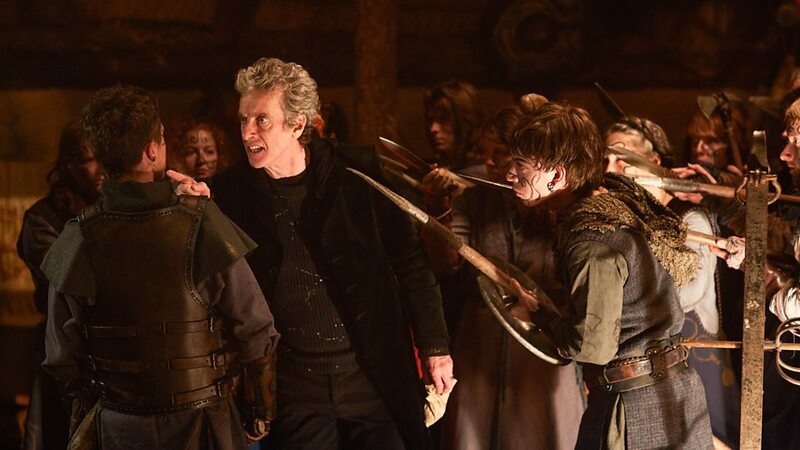 The Doctor also mentions as he is part of the Prydonian Chapter, first mentioned in the Deadly Assassin (1976). 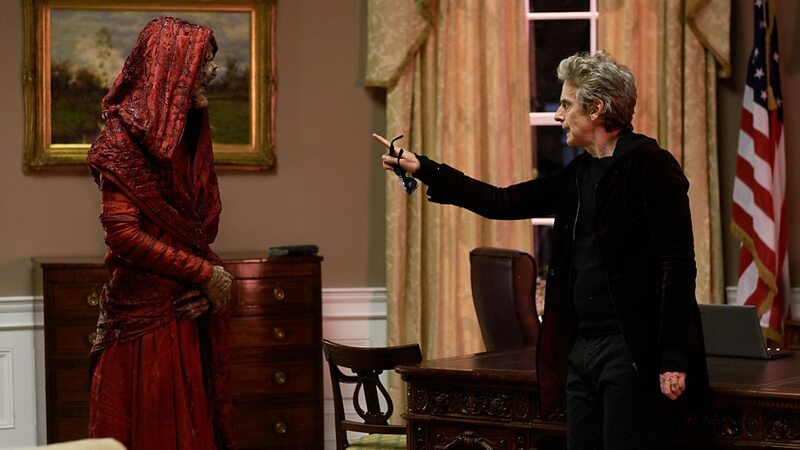 Extremis concludes with some truly powerful scenes, when the Doctor is confronted by a Monk in the simulation of the Oval Office. 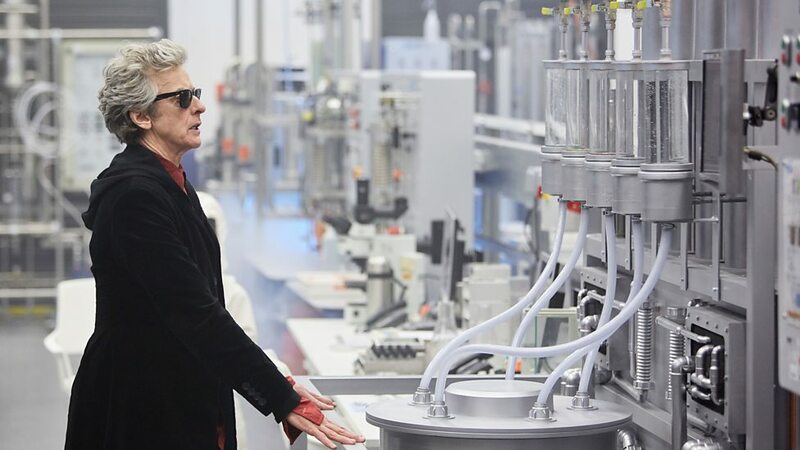 The Time Lord reveals he is fully aware that he is also a simulation, but warns the creature that the Earth will be ready for them as he’s been secretly recording everything via his sonic sunglasses and has just emailed the file to his real-world self guarding the Vault. 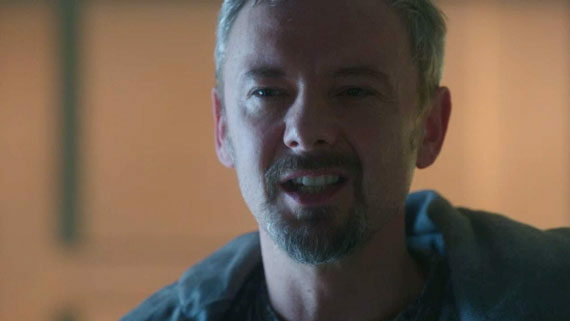 This all entwines with how the Doctor outwits Missy’s captors and death sentence to spare her life, explaining why he’s been overseeing her incarceration in the Vault. 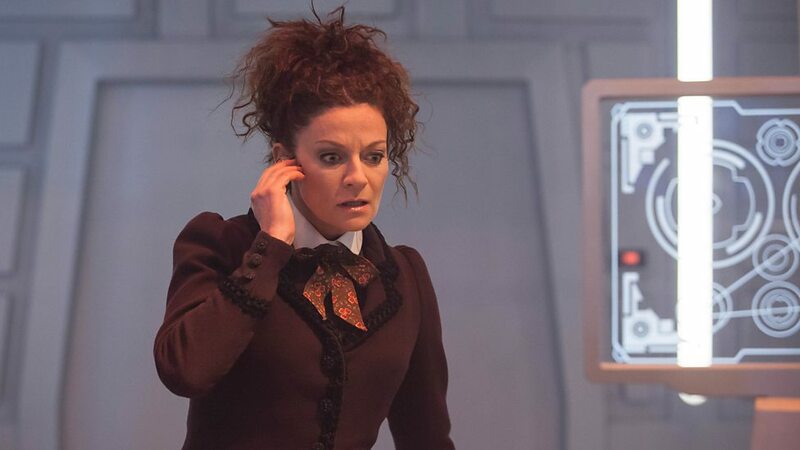 It all collectively builds towards the episodes thrilling cliff-hanger, where the real-world Doctor gets the email sent from his digital self and asks for Missy’s help through the doors to fend off the invasion. 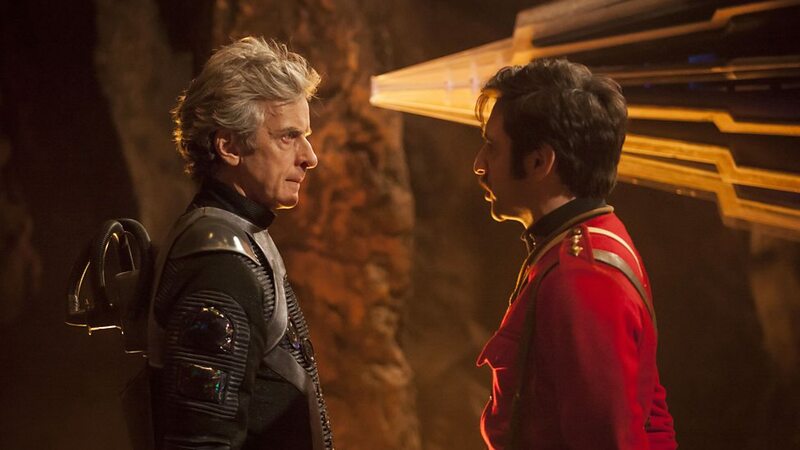 Although in retrospect Extremis is actually just a set up for the “Monk Trilogy” of stories, there’s still a wealth of exciting developments in this episode, with terrific performances from Peter Capaldi, Pearl Mackie, and Matt Lucas as the new TARDIS team faces their greatest challenge so far. 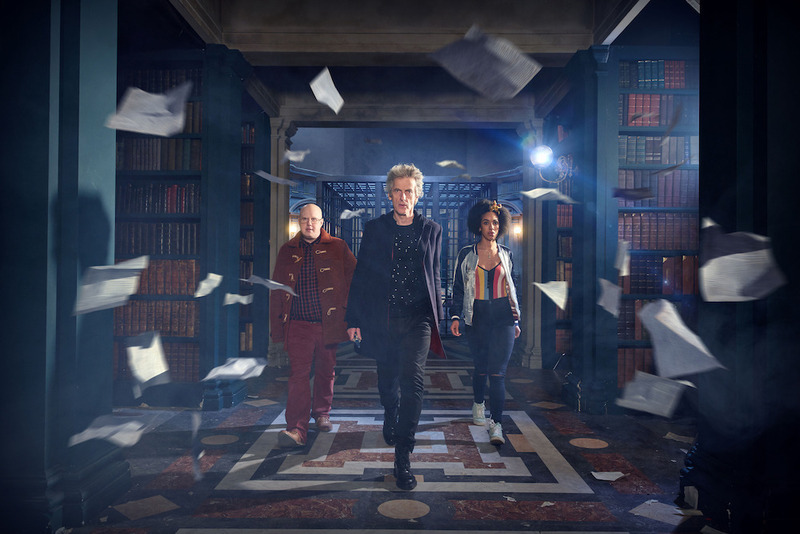 Steven Moffat’s scrip is audaciously epic in scope and scale, presenting just as many questions as it does answers, and director Daniel Nettheim offsets the striking visuals with a darkly atmospheric edge – especially during the library scenes. 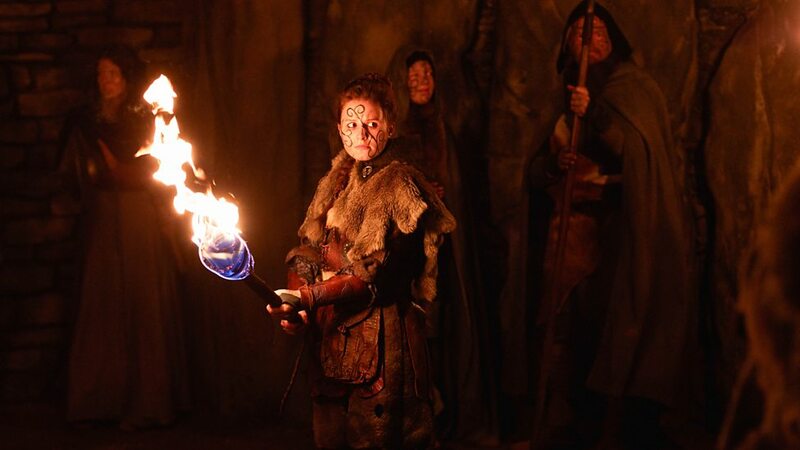 Extremis is a great episode; it places the world in dire peril, and sets everything up for the next stage in this intriguing saga! 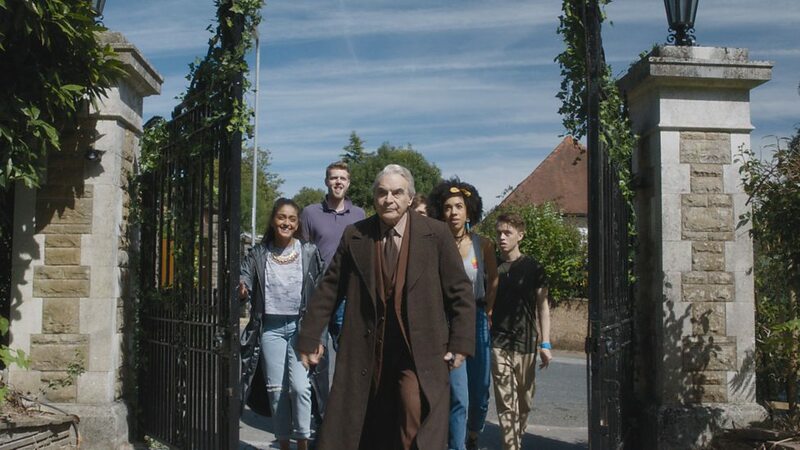 The fifth episode of series ten, Oxygen, marks the welcome return of writer Jamie Mathieson to the series with another exciting and scary adventure. Mathieson made his debut with his impressive script for 2014’s Mummy on the Orient Express, and he also wrote the highly innovative Fatline (2014), and most recently The Girl Who Died (2015). 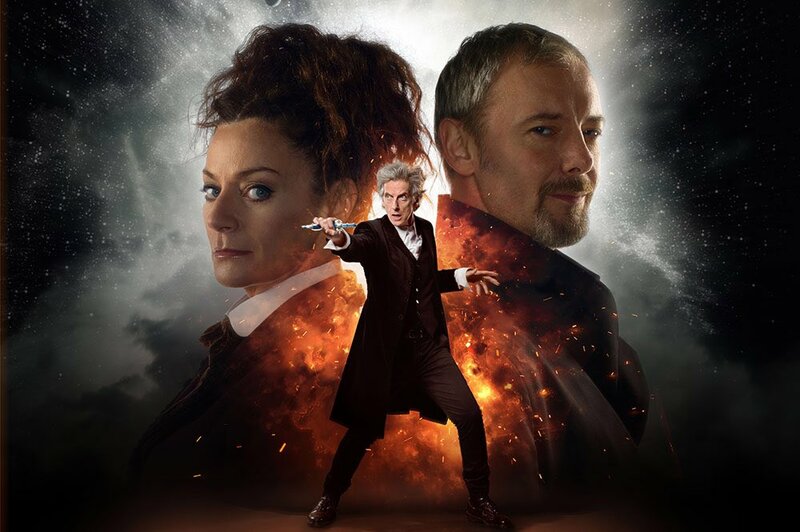 Also making their return to Doctor Who is Charles Palmer, the director of 2007’s Smith and Jones, The Shakespeare Code and the acclaimed two-parter Human Nature / The Family of Blood. 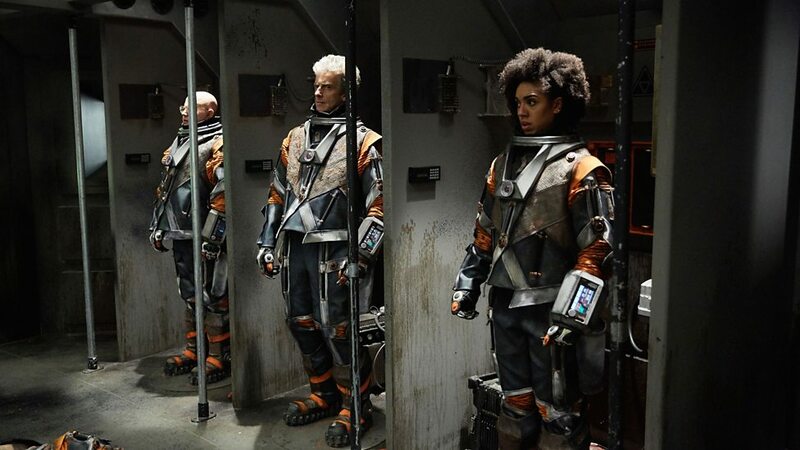 Kicking off with a nod to Star Trek’s iconic-voice over, Oxygen soon has the Doctor, Bill, and Nardole donning spacesuits after their arrival on Chasm Forge, a vast mining station in deep space overrun by a spacesuited army of the walking dead. 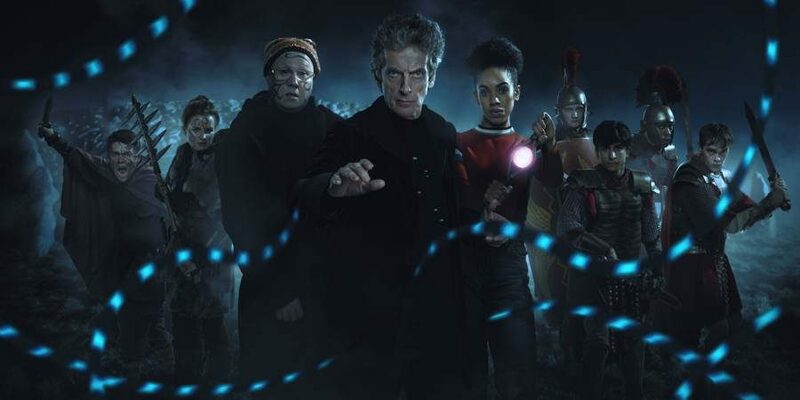 The Doctor and his companions, along with the stations four surviving crewmembers, must fight for their lives as the undead horde closes in, but what has caused this terrifying outbreak to occur? 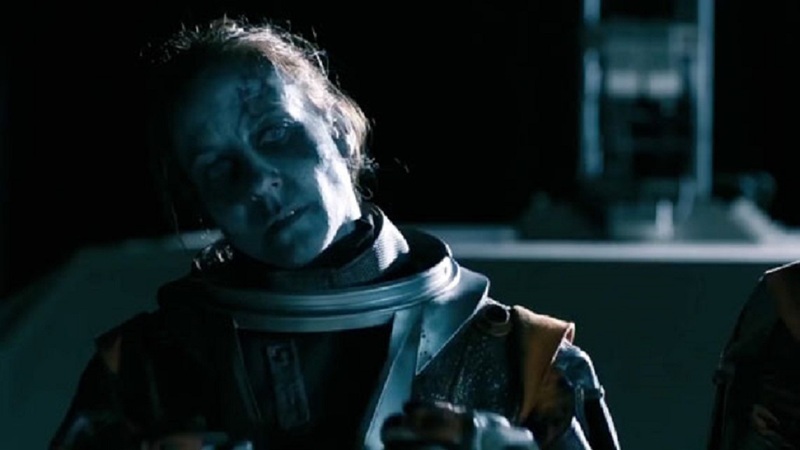 Just like the pervious episode Knock Knock, Oxygen is another spookily atmospheric episode, although with Oxygen the horror is far more full-on and intense – especially where the space zombies are concerned. 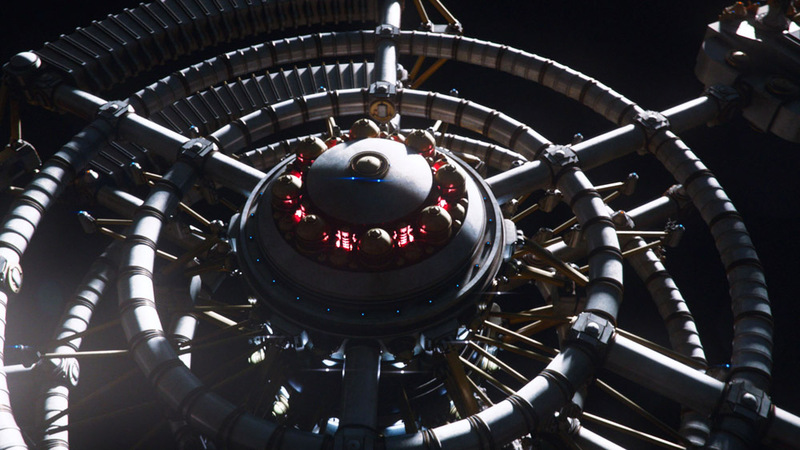 The political, corporate, and capitalist undertones that permeate Oxygen’s stark vision of the future are equally as chilling realized as the hostile environment of space itself in this episode. Ironic computer statements punctuate the narrative with a satirically charged social commentary, it seems oxygen has become big business in the future, and here on Chasm Forge the very air that you breathe is one of the most valuable assets of all! 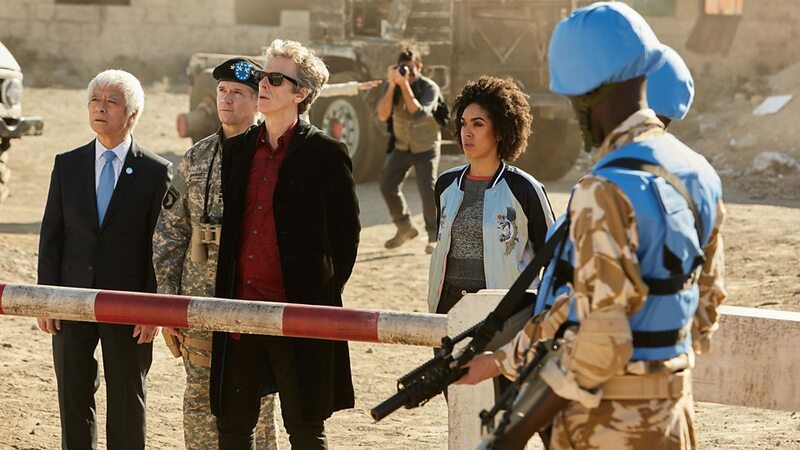 Oxygen makes space feel edgy and dangerous in again in Doctor Who as writer Jamie Mathieson jettisons the more familiar Sci-Fi tropes the series usually adopts for a decidedly more scientific and accurate portrayal of the harsh realities of space. 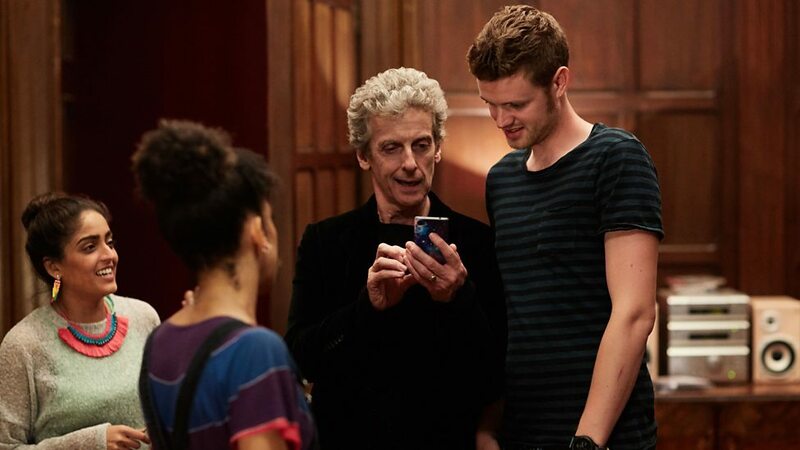 A whole scene during one of the Doctor’s lectures at the university is given over to establishing some of these facts, which in turn gives added credence to the dangers encountered on Bill’s first proper adventure in outer space as events on board Chasm Forge begin to spiral out of control. 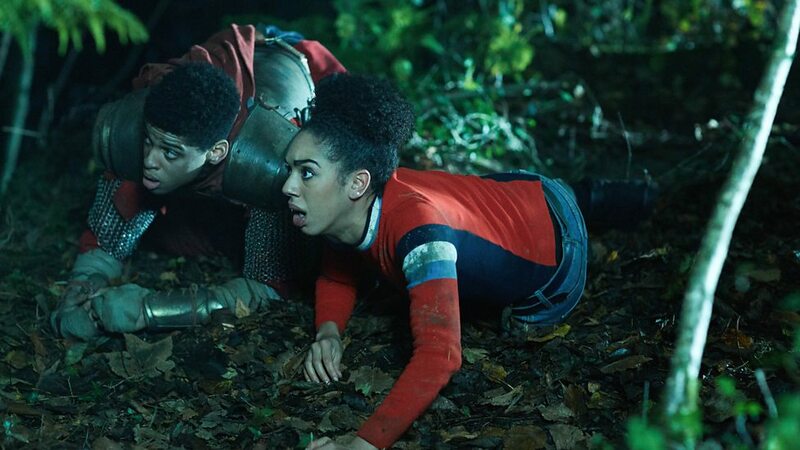 The script also cleverly separates them from the TARDIS and puts the sonic screwdriver out of commission – so there’s not going to be any easy way out for the Doctor, Bill, and Nardole this time! 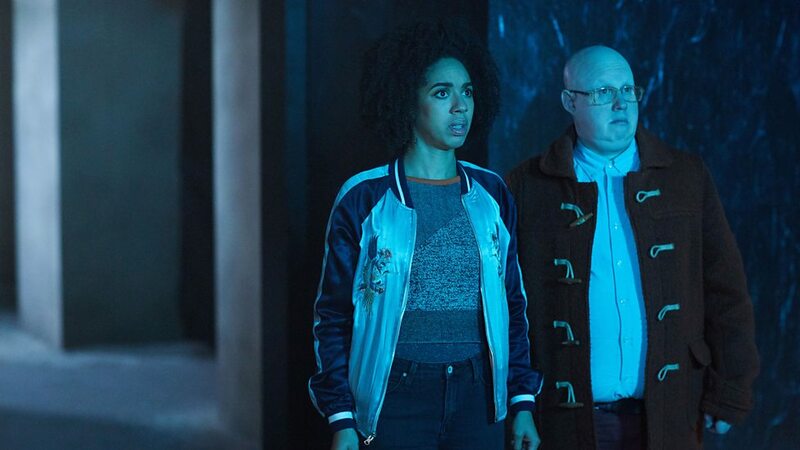 Peter Capaldi and Pearl Mackie make a terrific team as Time Lord and companion respectively, they get some really powerful and emotional scenes in this episode, and it’s good to finally see Matt Lucas taking a more active role alongside them in Oxygen as Nardole since his character has felt a little sidelined since The Pilot. 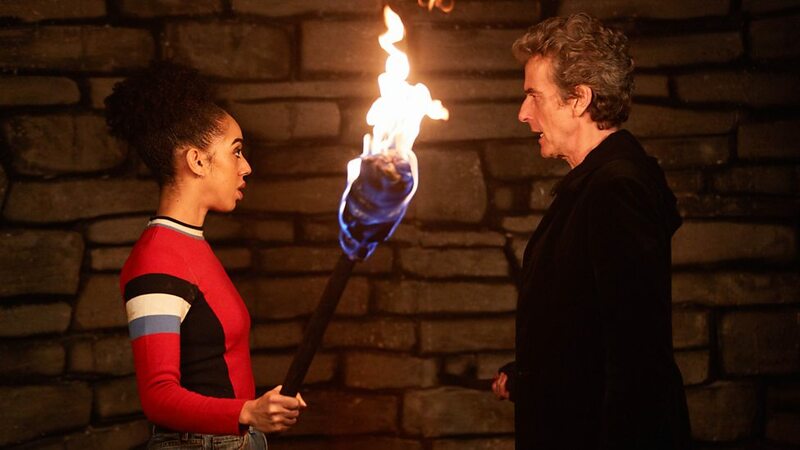 This is also an extremely challenging episode for Bill, as the terrifying situations she faces on Chasm Forge test her – and her faith in the Doctor – to the limit, none more so perhaps than the heart-stopping horror of being exposed to the vacuum of space. 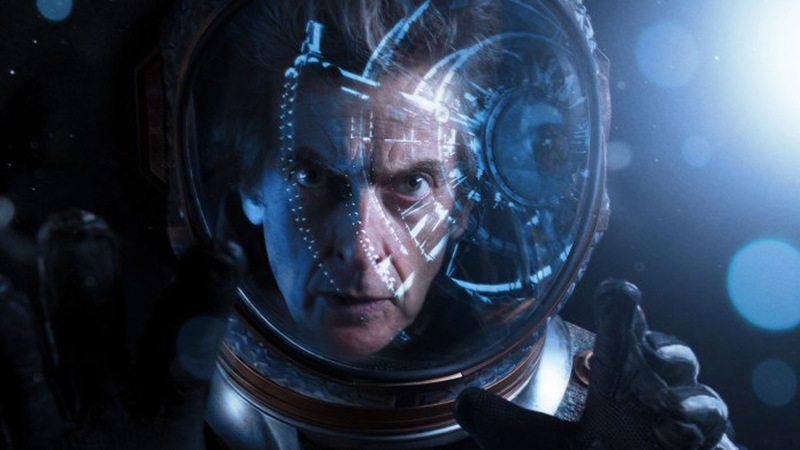 Trapped on this space station where human life is weighed up against the value of a spacesuit and oxygen is credit highly prized above all else, even the Doctor encounters a crisis unlike anything he’s faced before when Bill’s spacesuit malfunctions and the Time Lord gives her his suits helmet to save her but the prolonged exposure to the vacuum affects his eyes and blinds him! 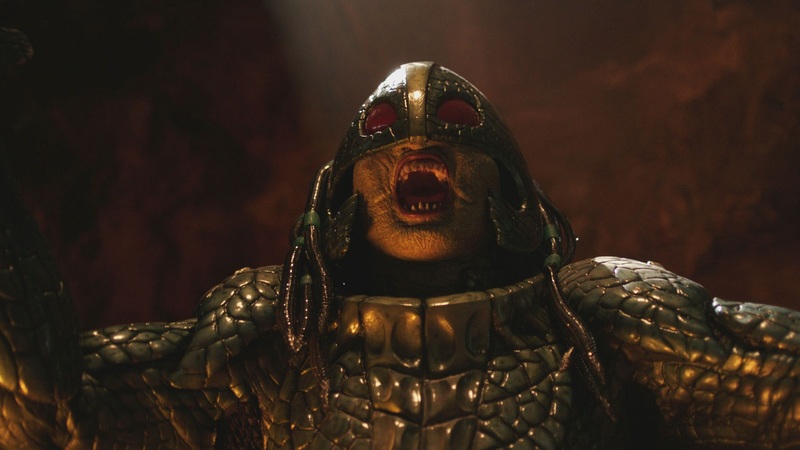 Oxygen features a good cast of supporting characters: with Justine Salinger as Tasker, Katie Brayben as Ellie, Mimi Ndiweni as Abby, Kieran Bew as Ivan, and Peter Caulfield as the blue-skinned Dahh-Ren. Although their character development is a little sparse, they prove sufficient to drive the narrative where necessary, and it is probably the wry Dahh-Ren who makes the biggest impression of all the surviving crewmembers. 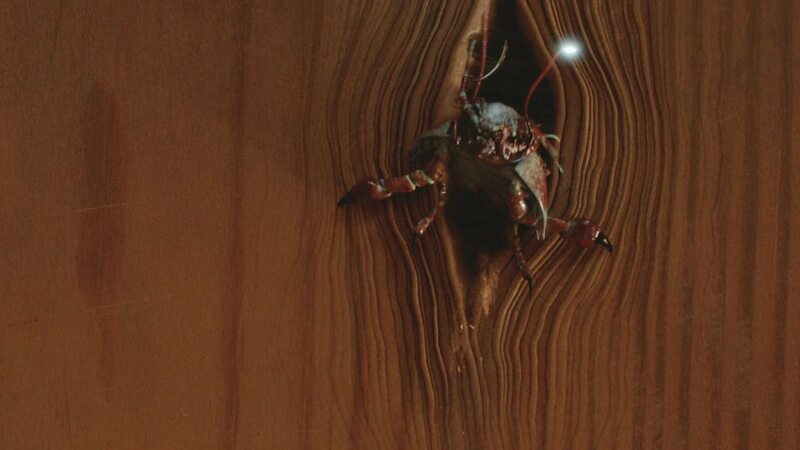 Zombie-like monsters with a deadly electrified touch in Oxygen are also really impressive. Whether shambling along dark corridors or walking en masse across the hull of Chasm Forge, the make up effects for these bloated, decaying, lifeless-eyed creatures are quite a frightening sight to behold. 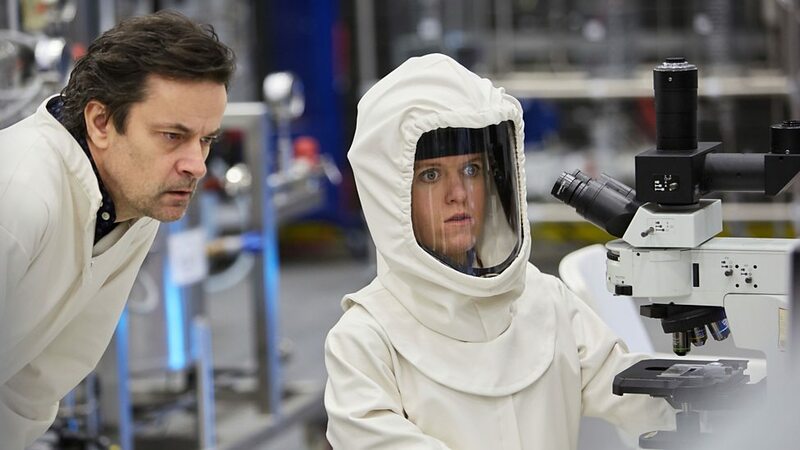 This army of the walking dead has actually been created by their own spacesuits, which have deactivated their organic component, but most horribly of all they carry on working regardless because of the sophisticated programming running their suits. 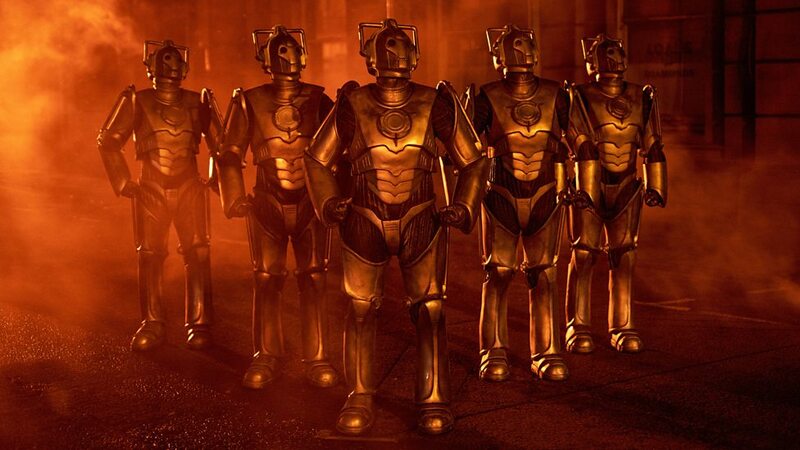 The Doctor later discovers this is a ruthless algorithm used by the company, the lives of the crew have become too inefficient, and its deemed more efficient by the mining company to have the dead cadavers working in the automated suits instead of the living so as to maximize the company’s profits. 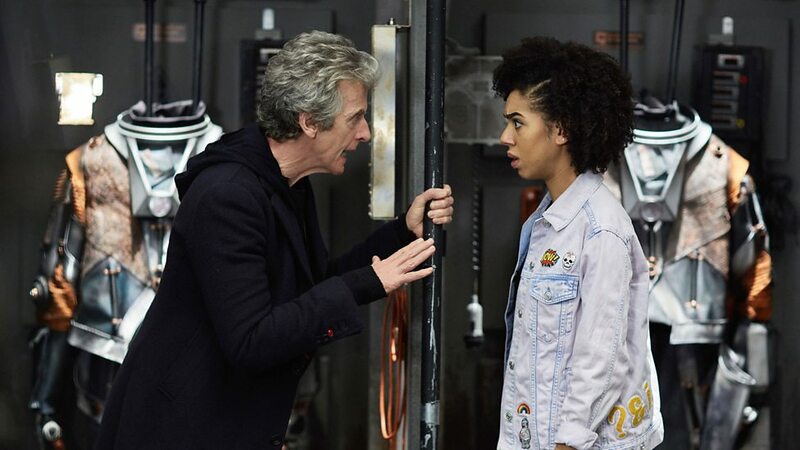 There are a number of Who references to look out for in Oxygen, most notably the Fluid Link, which Nardole tries to uses to sabotage any further attempts by the Doctor to leave Earth again and neglect his oath to guard the Vault. 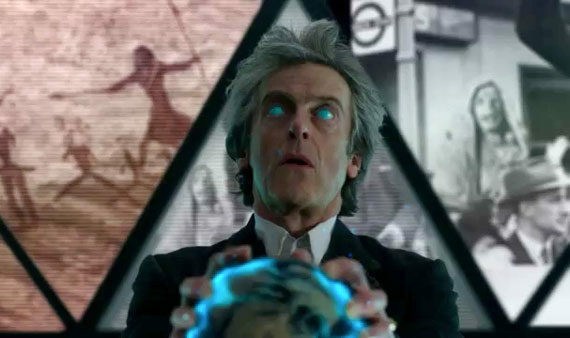 The Fluid link was first mentioned in the 1963 episode, The Dead Planet, where the Doctor stated the link has gone wrong and the TARDIS couldn’t operate without a functioning fluid link which also requires Mercury to operate. 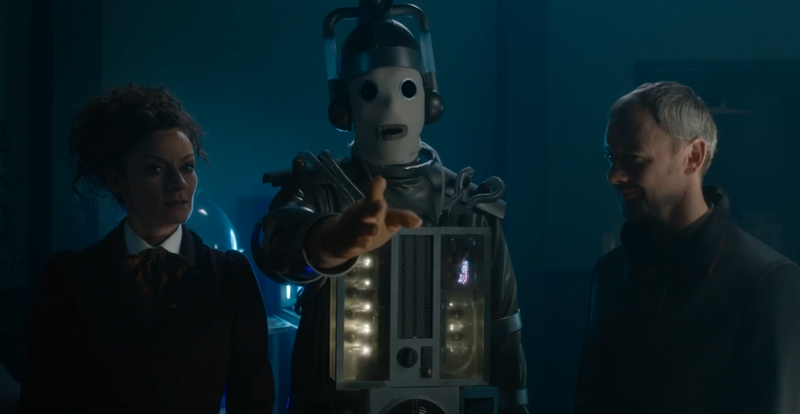 This was actually a ruse by the Doctor (William Hartnell), the link wasn’t faulty, but it allowed him to convince his companions to go along with his wish to explore a strange alien city. 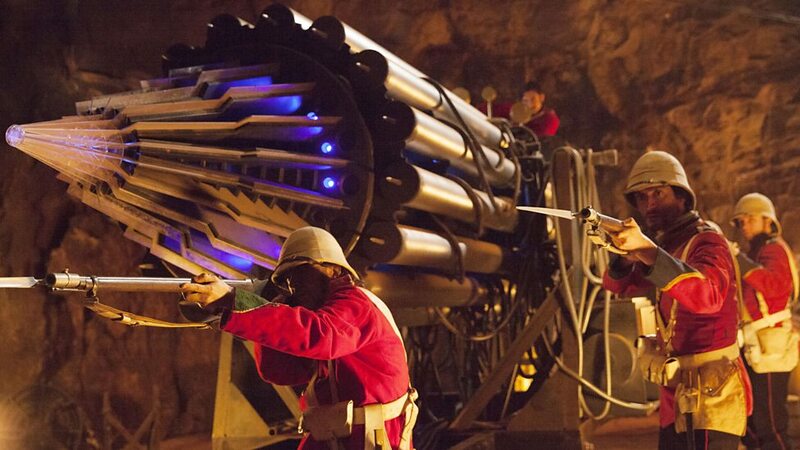 But the planet they had landed on turned out to be Skaro, and soon the Doctor would encounter the Daleks for the first time in the programmes history. 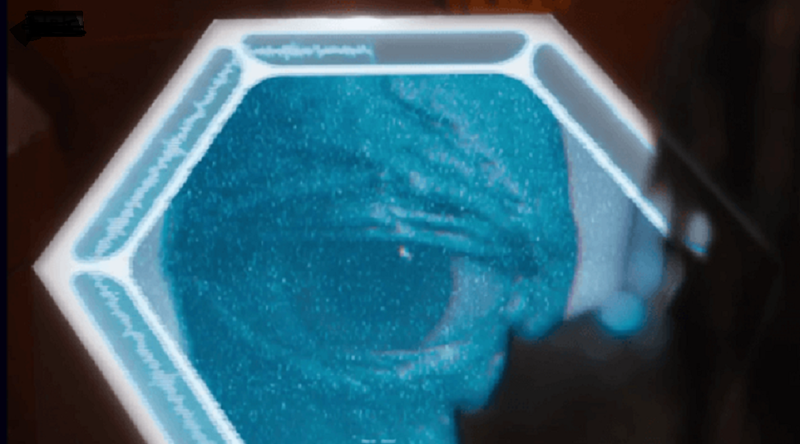 In a more recent connection to the series, we also get to see the picture of Bill’s mother again from Knock Knock which she glimpses in her minds eye as she begins to succumb to the vacuum of space. 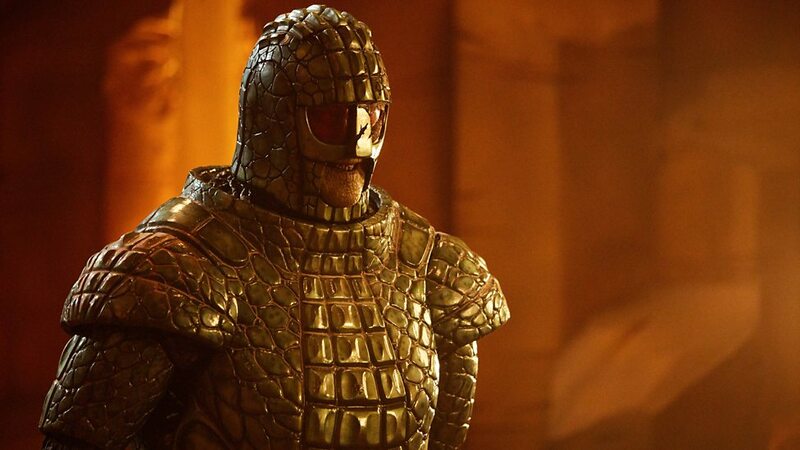 Incidentally, director Charles Palmer is also the son of Geoffrey Palmer who had roles in Doctor Who and The Silurians (1970), The Mustans (1972), and Voyage of the Dammned ( 2007). 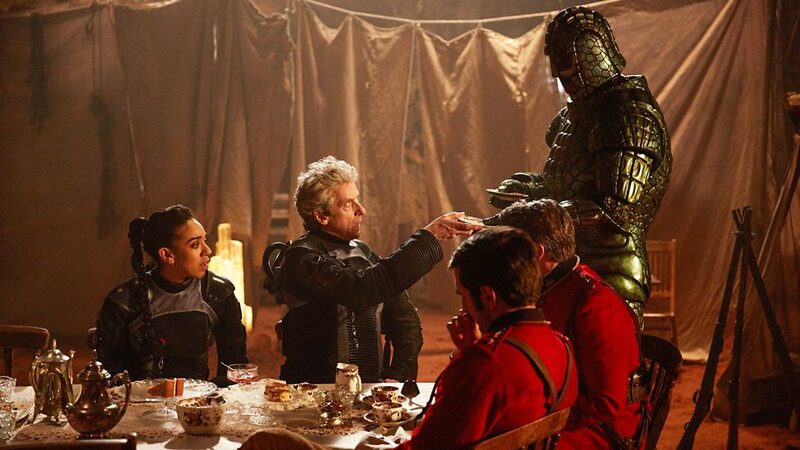 Having been forced to abandon Bill to a fate that seemingly saw her become one of the space-suited zombies, the Doctor and the surviving crewmembers become trapped. 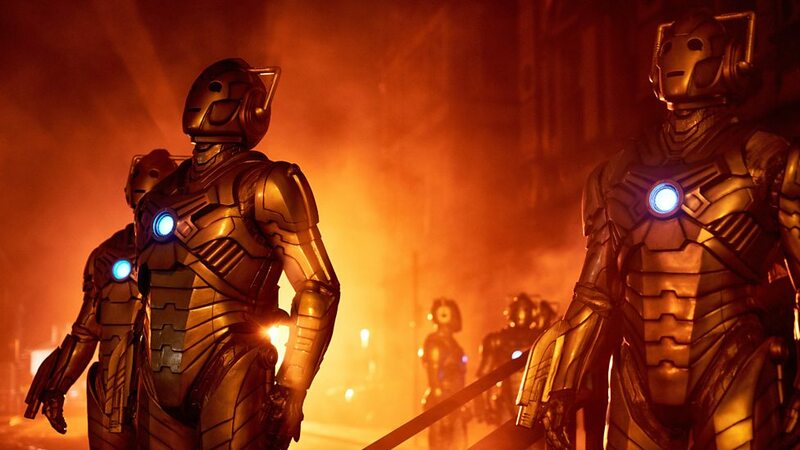 At the last moment the Doctor revenge hacks the computer and links their suits to Chasm Forge’s systems, if they die, the station will explode, so killing them would be the more expensive option and the company’s profits will be wiped out. 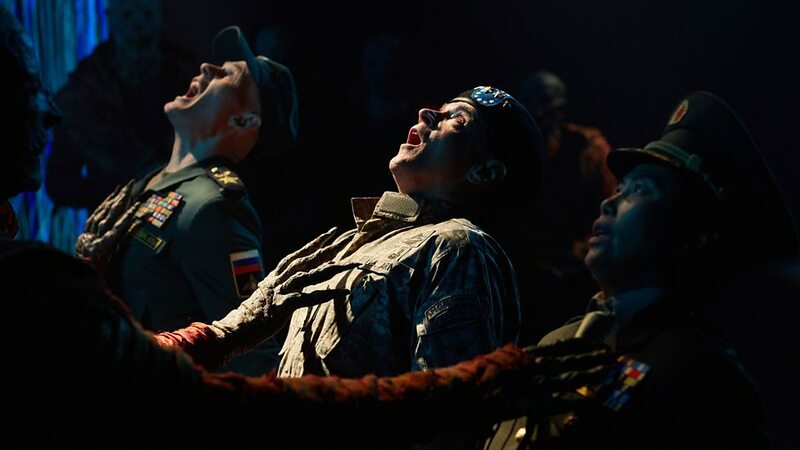 This ingeniously uses the company’s own warped corporate economics to their advantage, effectively turning the tables, and the zombies give their own oxygen supply over to the living survivors – including Bill who was only really stunned – to keep them alive and save the station. 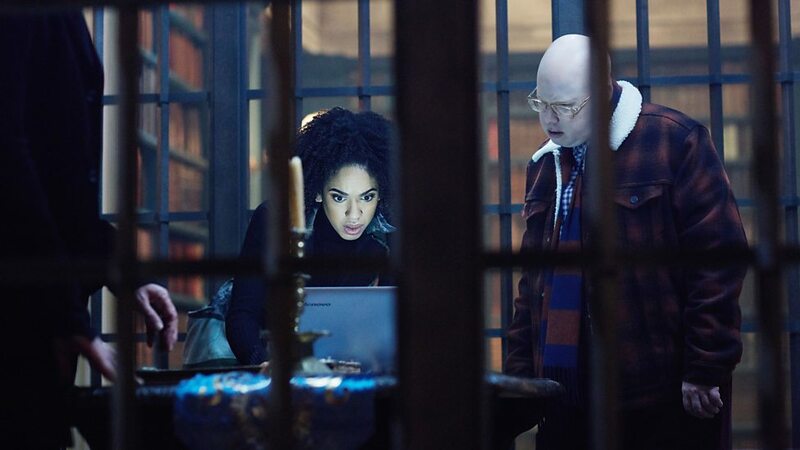 Nardole later repairs the Doctor’s eyes and they return to the university. 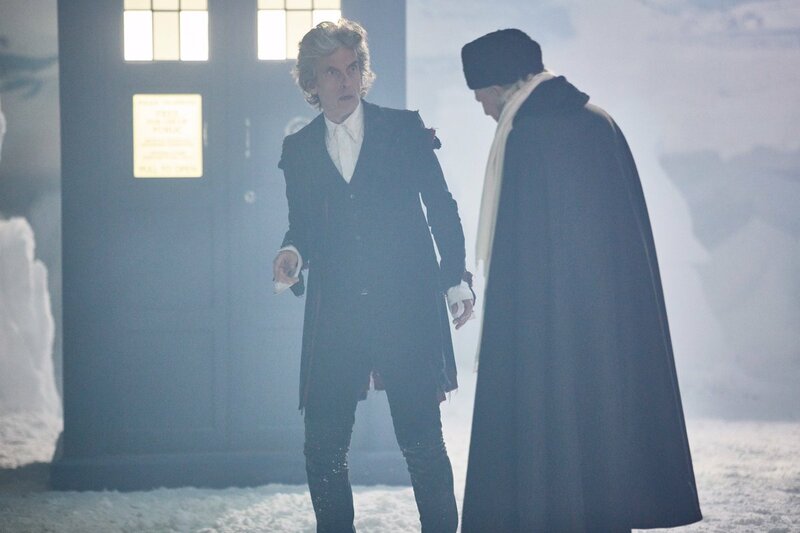 However, once Bill leaves the room, the Doctor suddenly has a grave secret to tell Nardole. 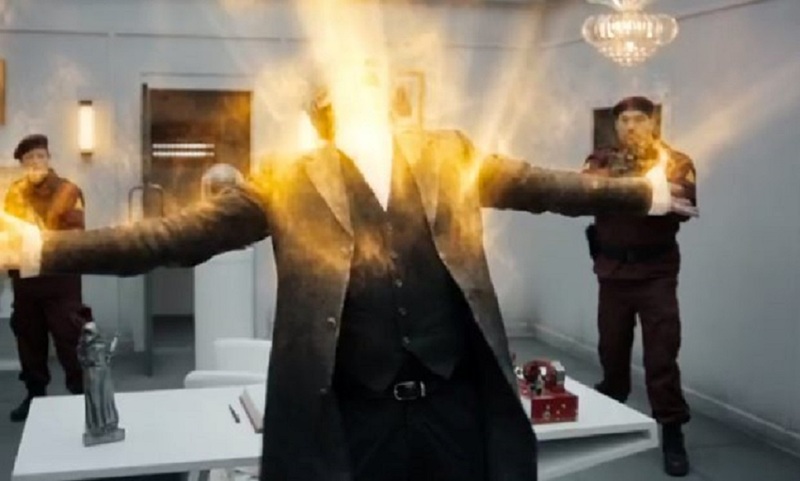 It would seem Oxygen is going to be something of a life-changing experience for the Time Lord after all, because his vision hasn’t returned, he’s still blind! 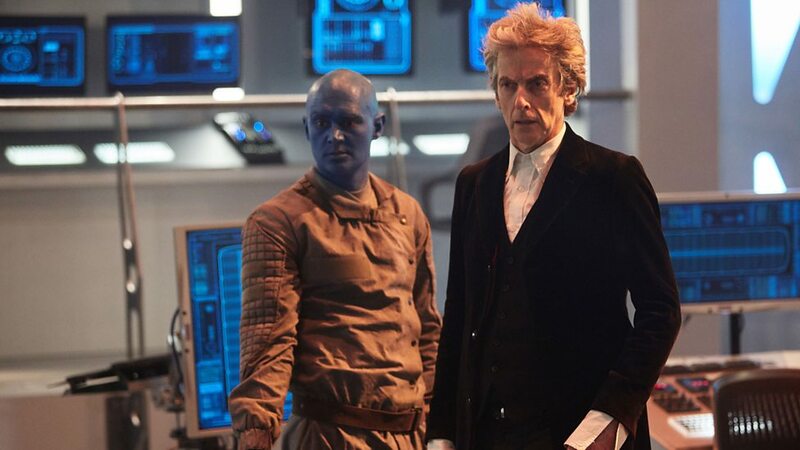 With great performances all round, Oxygen is a taut, excitingly crafted adventure from writer Jamie Mathieson, the drama and peril the Doctor, Bill, and Nardole face in this story certainly puts this new TARDIS team through the wringer, and the outstanding direction of Charles Palmer keeps you on the edge of your seat as the action steadily progresses. 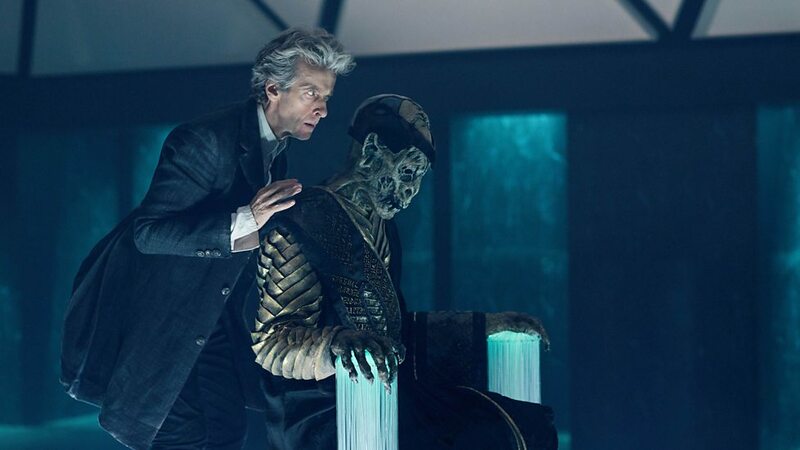 All in all, Oxygen, with its scary zombies-in-space premise and impressive special effects, proves to be another thrilling addition to series ten, and the shock cliff-hanger concerning the Doctor’s sightless predicament sends everything spiralling off on an entirely new and unexpected tangent few could’ve predicted. 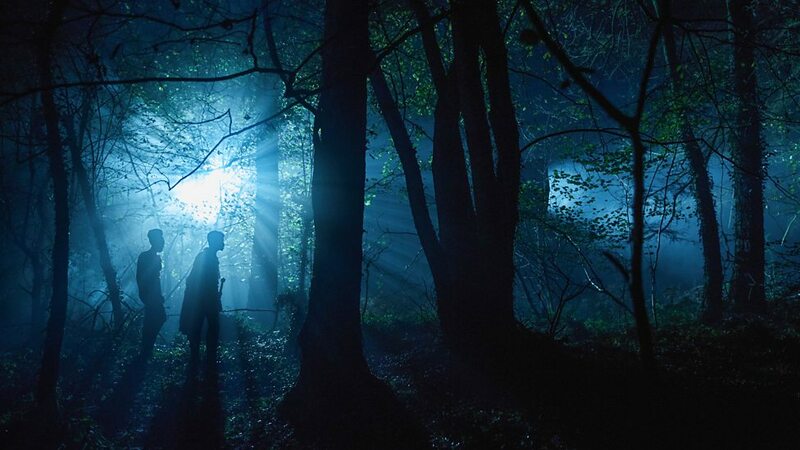 And here’s the ominous Next Time trailer for Extremis!